The community of West Cornwall is home to one of the last covered bridges in Connecticut. 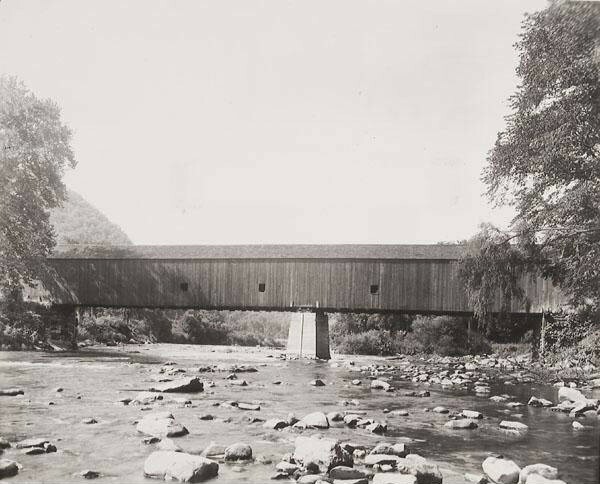 Measuring 172 feet long and 15 feet wide, the West Cornwall Covered Bridge (which carries vehicle traffic over the Housatonic River on Connecticut Route 128) is listed on the National Register of Historic places and has been a symbol of the area’s rural heritage for almost 150 years. Attempts to build bridges at the site go back as far as 1762, but local ice storms and floods, like the Flood of 1837, claimed these early attempts at crossing the Housatonic. Research has shown that the current structure was most likely built in 1864. It is made of sturdy red spruce, a wood stronger than oak, and held together using treenails, wooden pegs that are wedged into place. It is a lattice truss design, known in the 1800s for providing light-weight yet efficient and durable load-bearing capacity. Despite the bridge’s sturdy construction, there have been numerous challenges to maintaining its integrity. In addition to surviving weather-related threats, the bridge has had to sustain increasingly heavier vehicle traffic. 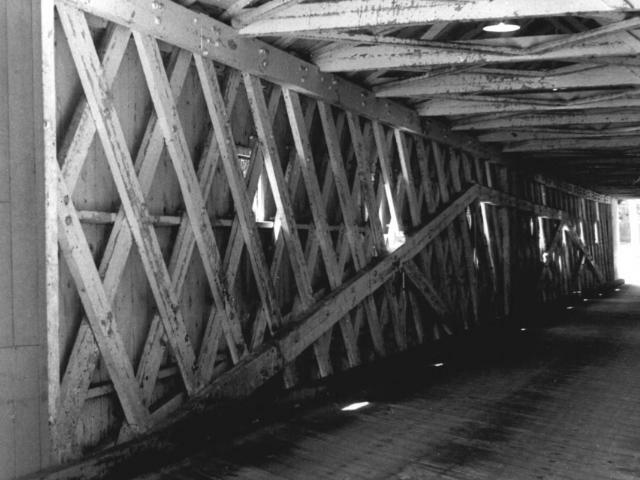 Due in part to safety concerns, the bridge was closed to pedestrian traffic in the 1920s. In 1945, a 20-ton oil truck fell through the bridge floor. In fact, the demands on the bridge had changed so much since its original construction that, by 1968, the State of Connecticut considered replacing the then 100-year-old structure. Responding to this threat, a local group committed to saving the bridge stepped in and convinced the state to make renovations to it instead. In 1973 the Connecticut Department of Transportation inserted a steel support deck that not only saved the bridge but also won the effort an award from the Federal Highway Administration as an outstanding example of historic preservation. Since its inception, the West Cornwall Covered Bridge has gone through numerous cosmetic and structural changes. The steel support deck it received may have been the most vital for preserving its legacy, but it was a 1957 decision to paint the grey, weathered bridge its distinctive red color that has come to define its rustic mystique. In fact, the bridge has become such an important symbol of New England architecture that it has been the subject of a booklet by historian Michael Gannett and appears in the opening scenes of the 1967 dramatic film, Valley of the Dolls, as part of a depiction of New England life. Gannett, Michael R. A Historical Guide to the West Cornwall Covered Bridge. Cornwall, CT: Cornwall Historical Society, 1988.